Fill out your Request For Live Scan Service form and bring three copies with valid ID and a form of payment. Choose one of Certifix’s 300 convenient walk-in-locations in our growing network of fingerprint enrollment centers. Our trained and certified operators will take your prints and submit your transaction to the government to process your results. Live Scan is the electronic fingerprinting process that replaces traditional ink fingerprinting. 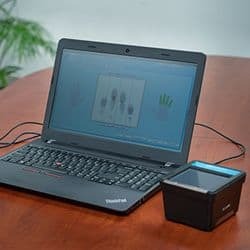 An individual’s fingerprints are scanned and securely transmitted to the government, which performs a criminal history background check using an Automated Fingerprint Identification System (AFIS). Live Scan is often required by statute for certain types of state-issued licenses, employment, and volunteer work. Is Live Scan the same as a background check? Live Scan is a form of background check required by the state and federal governments; typically for state-issued licenses, employment, or volunteer work. It is also often required for (but not limited to) people who work or volunteer in positions of trust for populations such as vulnerable citizenry, the elderly, dependent adults and children. The government will check submitted fingerprints against its database to retrieve an individual’s criminal record. Why do I need a Live Scan? Live Scan is often required for people who work or volunteer in positions of trust for populations such as vulnerable citizenry, the elderly, dependent adults and children. Who needs Live Scan anyway? 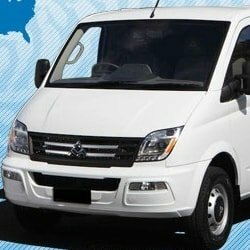 All types of individuals are required by the state and federal governments to get Live Scan, including (but not limited to): realtors, licensed DMV professionals, notaries, foster parents, teachers, appraisers, caregivers, stockbrokers, contractors, nurses, doctors, surgeons, security guards, volunteers, and lawyers. Where do I get Live Scan? Certifix Live Scan has more than 300 convenient locations in the state of California. Certifix Live Scan also displays non-Certifix Live Scan locations. As Certifix does not actively maintain the Non-Certifix Live Scan locations, it is recommended to contact these businesses before visiting. What is a requesting agency? A requesting agency is the organization that asks a Live Scan applicant to get Live Scan. This may be an employer, law enforcement agency, school, non-profit organization, home-care agency, etc. Requesting agencies are also sometimes referred to as applicant agencies. with just one monthly invoice. Provide Live Scan to your customer with CScan, Our state-of-art fingerprinting system. Let us come fingerprint you at your location.